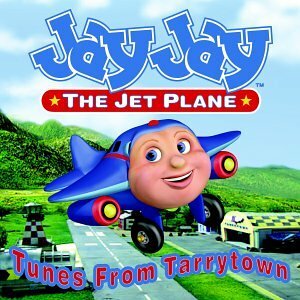 Don't Tick Him Off Now..., Parody Song Lyrics of Jay Jay the Jet Plane, "Jay Jay the Jet Plane (Children's T.V. show)"
Song Parodies -> "Don't Tick Him Off Now..."
"Jay Jay the Jet Plane (Children's T.V. show)"
"Don't Tick Him Off Now..."
My fiance and I were poking fun at songs and T.V. shows- and somehow we came up with a hiliarious skit perfect for Mad Television!!! The sun is burning everyone in Terry Town, real nasty jerks keep coming down. That's where you'll find, a really unkind- Jay Jay. Jay Jay the JET plane, "Up YOURS!" Never seen a little guy quite like this. So much in love with himself like this. So BUCKLE UP TIGHT, or he'll punch out your lights. Jay Jay. "Don't tick me off now"
Jay Jay! " Or you'll be socked!" The address of this page is: http://www.amiright.com/parody/misc/jayjaythejetplane0.shtml For help, see the examples of how to link to this page.